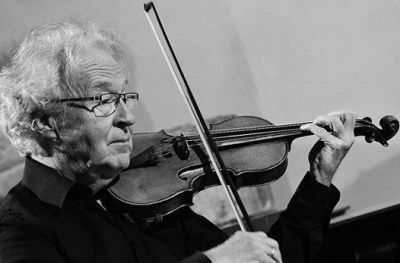 Professor for violin at the Hochschule für Musik und Theater Rostock since 1997. She received several awards at national competitions and a 3rd prize at the 1st International Competition for Violin in Kloster Schöntal. 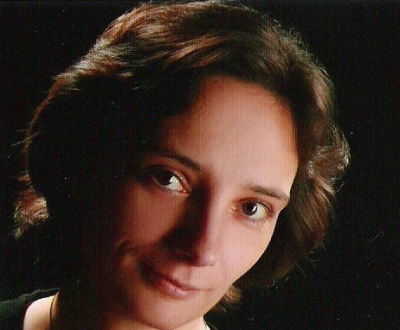 As a soloist, she has performed with various orchestras and since 1995 she has been a member of the CONCERTINO Ensemble with which she has worked as a soloist and in various chamber music ensembles. Winner of the International Violin Contest Henri Koch, European Young Concert Artists Audition and of the Queen Elizabeth Competition”. He won the First Prize at the “Montreal International Musical Competition“. Concerts with the hr Sinfonieorchester and Christoph Eschenbach, the Orchestre National de Belgique and the Orchestra Sinfonica Nazionale RAI in Turin under the baton of Andrey Boreyko. 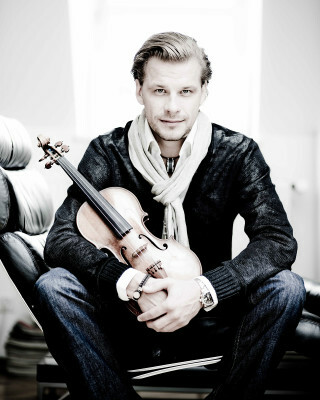 He has performed with the NDR-Sinfonieorchester Hamburg, the Belgian National Orchestra, the Royal Philharmonic Orchestra of Liège, the Moscow Philharmonic Orchestra and the Staatsorchester Rheinische Philharmonie. Frequently features as Konzertmeister, he collaborates with the Orchestra dell’Accademia Nazionale di Santa Cecilia, Orchestra Filarmonica Toscanini, Cameristi della Scala, Orchestra del Teatro Regio di Parma, and more. He played with the famous conductors, as L. Maazel, M. Rostropovich, Z. Mehta, A. Pappano, M. Y. Chung, N. Santi, Y. Temirkanov, G. Pretre, V. Fedoseev, K. Masur and other. Member of the jury panel of Important International Violin Competitions as "A. Curci" in Naples and “A. Postacchini” in Fermo. He was concertmaster of the Vienna Philharmonic. As a soloist he gave concerts with leading orchestras such as the Vienna Philharmonic, the Philharmonia Orchestra London with conductors such as Claudio Abbado, Riccardo Muti and Michael Tilson Thomas. He has been active in the field of chamber music with among others, P. Tortelier, M. J. Pires and Natalia Gutman. His students were winners of international competitions and have been concertmaster positions in leading orchestras. Winner of the Italian Paganini Competition. He has played, among others, with the London Philharmonic Orchestra, the Vienna Radio Orchestra, the Chamber Orchestra of Philadelphia as well as the Milan based Giuseppe Verdi Orchestra and the British Orchestra of the Age of Enlightenment. Active participator in several international music festivals, he is an outstanding chamber musician and member of the Hermitage String Trio. Among his partners are Pinchas Zuckerman, Gidon Kremer, Marta Argerich, Anne-Sophie Mutter, Vadim Repin, Truls Mork, Maria-Joao Pires. Today, Mr. Garlitsky devotes a large amount of his time to education. 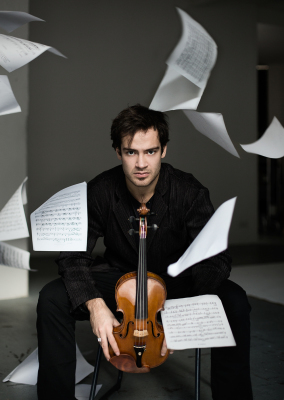 He won numerous prizes at international competitions as the ‘International Max Rostal Competition’ and the ‘Michael Hill International Violin Competition’. 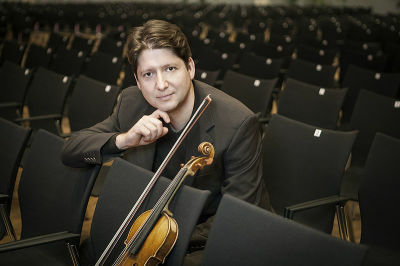 Performed as violinist in the Morgenstern Trio in the most important concert halls, as the Musikverein, Concertgebouw, Carnegie Hall, Lincoln and Kennedy Centers and Ilshin Hall, After teaching at the Hochschule für Musik Hanns Eisler in Berlin and the University of Music and the Performing Arts Stuttgart, was appointed professor at hmt Rostock, making him one of the youngest professors in Germany. His students are winners at international competitions and hold important positions at renowned orchestras. First violinist in the Pro Arte Quartet Salzburg. Won prizes at competitions in Helsinki and Hannover. Extensive concert tours to major centres of music and festivals in Europe and Asia. 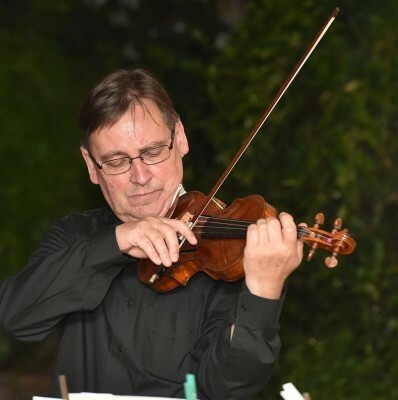 Professor of violin and head of the Department of String Instruments at the Mozarteum University. 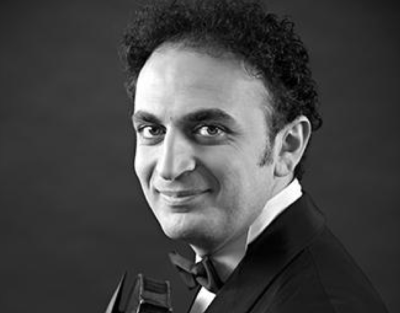 He holds international master-classes and is a jury member at major competitions. Prize winner of several national and international competitions, his concert activity brought him to perform in the whole Europe, as well as in Japan, Canada and USA. Mauro Iurato often performed as a soloist with prestigious orchestras such as the Zagreb Soloists, the National Philharmonic of Moldavia and the Korean Chamber Orchestra. Guest Concertmaster of the “Osaka Philharmonic Orchestra”, “Tokyo Symphony Orchestra”, the “Orchestra Ensemble Kanazawa” and the HPAC (Hyogo Performing Art Center) Orchestra. He regularly gives Master-classes in Europe as well as in Japan. Conductor and violinist with numerous outstanding orchestras, conductors and musicians together, companions were Morton Feldman as chamber music partner, Arvo Pärt, and Karl-Heinz Stockhausen, who composed for him, Mikis Theodorakis, Daniel Barenboim, Christian Thielemann and Pierre Boulez. Together with Yehudi Menuhin he founded the organization LMN (LiveMusicNow) Franken, which promotes highly gifted students with concerts in social institutions. 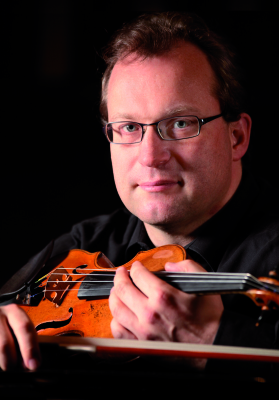 Professor of violin and chamber music at the State University of Music in Nuremberg. 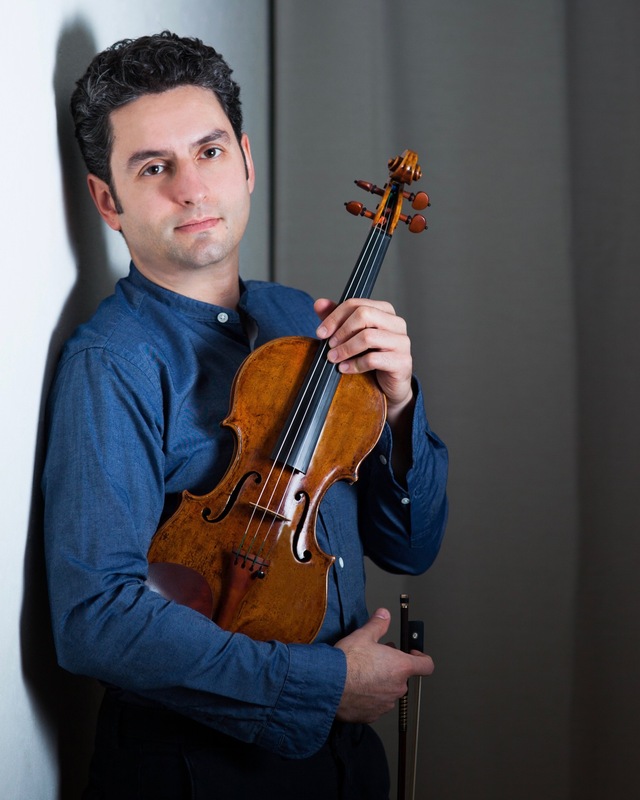 Performs regularly with the Moscow Symphony Orchestra, guest concertmaster of the Gilet Chamber Orchestra and of the Мusica Viva Chamber Orchestra conducted by Alexander Rudin. Co- founders of the SONORE – Chamber Music Ensemble in 2006. He has toured Russia, Germany, France, Spain, Holland, Belgium, Slovenia, USA, Canada, China and Israel. Since 2005, he has been permanently involved in teaching and he teaches master classes in Russia and abroad. 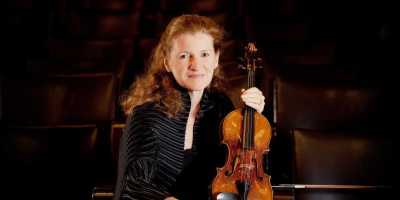 Was a member of the Chamber Orchestra of Europe from 1987 till 1993 when she won the position of First Concertmaster of the Vienna Radio Symphony Orchestra. 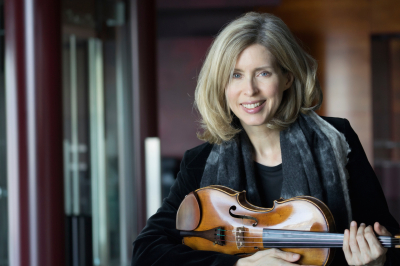 As a soloist and chamber musician she performed extensively in all the major European cities and is Professor of violin in the University for Performing Arts in Graz in 1997. He performed in Canada, Yugoslavia, Germany, Switzerland, Italy, France, Belgium, Sweden, Finland, Norway, Denmark, and the former Soviet Republics. He has done numerous recordings for radio and television and has participated in many music competitions and festivals, Professor at the Academy of Music in Bydgoszcz. He has educated many winners of national and international competitions as well as over 70 diploma holders. 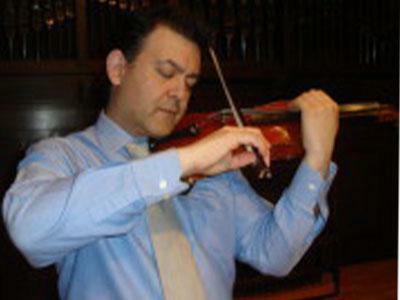 He has participated as a juror in a myriad of violin competitions, in Poland and abroad. 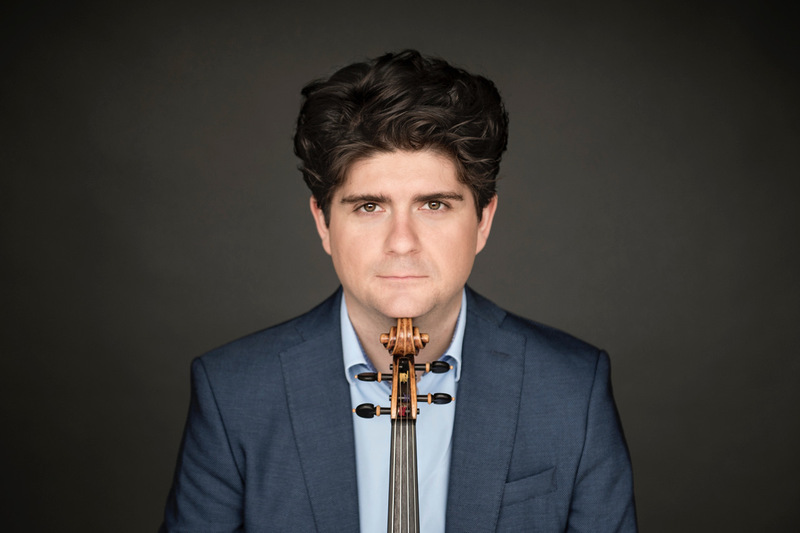 Concertmaster of the Vienna State Opera and Philharmonic and prizewinner of prestigious competitions such as Premio Paganini in Genoa and George Enescu in Bucharest, he is establishing himself as one of the most unique and polyvalent concert artists of today’s generation. His newest album “Reflets” was nominated for the International Classical Music Awards. His latest engagements included solo debuts at prestigious halls like Carnegie Hall’s Stern Auditorium, Berlin Konzerthaus, Paris Philharmonie, with many orchestras including the Basel Symphony Orchestra, the Munich Chamber Orchestra, and the Montreal Symphony Orchestra. 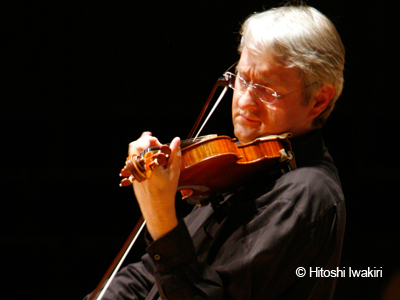 Winner of the International Music Competition Japan and of the Kulenkampff Violin Competition. Performed with orchestras such as Dresdner Philharmonie, MDR-Sinfonieorchester Leipzig, Deutsche Radio-Philharmonie Saarbrücken, Prague Philharmonia, Rundfunk-Sinfonieorchester Berlin, New Japan Philharmonic Orchestra and the Yomiuri Nippon Symphony Orchestra. 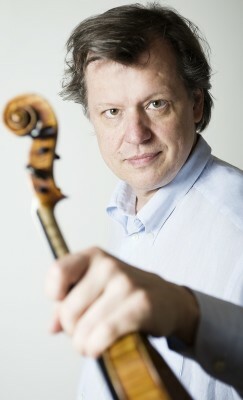 Artistic director of the Berlin Chamber Orchestra and Professor at the University of the Arts Bremen. Supported and guided by Sir Yehudi Menuhin at a young age, Kirill Troussov is now widely recognized as one of the leading violinists of his generation. He works with renowned orchestras and is a regular guest at prestigious festivals. 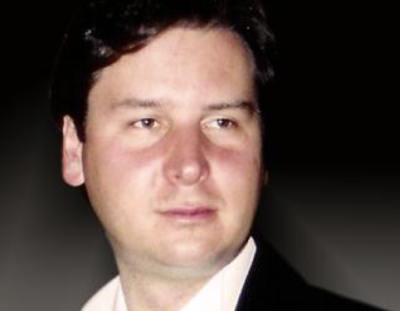 Kirill Troussov regularly gives master classes for violin worldwide at significant music institutions and renowned international music festivals. He is very involved with the discovery and promotion of young talents (from the age of five) so that among his small "greats" there are winners and award-winners every year at numerous international junior competitions. The chamber musician and soloist Holger Wangerin is professor at the University of Music and Theater Rostock/ Germany. He performed into festivals such as Salzburg, Lucerne, London, Edinburgh, Vienna, Paris and Tokyo, collaborating with such conductors as Mariss Jansons, Pierre Boulez and Claudio Abbado. 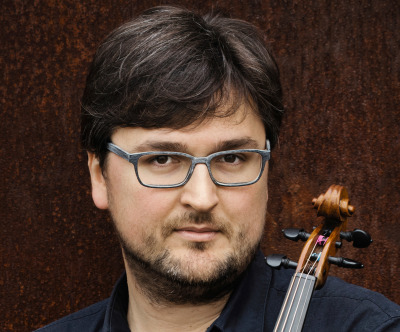 As a member of the Chagall Quartet Berlin, Holger Wangerin is guest at festivals such as the Mozartfest Würzburg or the Rheingau Music Festival. His students are prize winners and hold positions in renowned orchestras. Ulf Wallin devotes himself to solo and chamber music with equal passion. Concert tours have taken him to Asia, Europe and the United States. 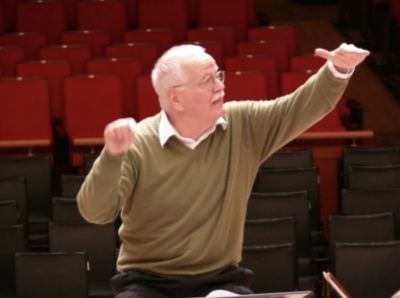 He has worked with such eminent conductors as Jesús Lopéz Cobos, Manfred Honeck, Paavo Järvi, Andrew Manze, Esa-Pekka Salonen, Walter Weller and Franz Welser-Möst. 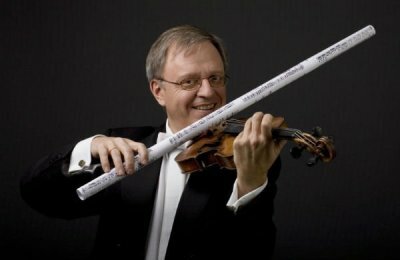 Professor of violin at Berlin’s Hochschule für Musik Hanns Eisler since 1996. He has served on juries for major international competitions. 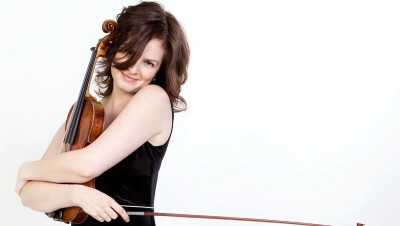 1st Violinist of the Merel Quartet, avid chamber musician, following invitations to festivals as the Salzburger Festspiele, Menuhin Festival Gstaad, Lucerne Festival, Ittingen Whitsun Concerts with partners as Joshua Bell, Tabea Zimmermann, Heinz Holliger, Thomas Demenga, Julian Bliss and Nobuko Imai. 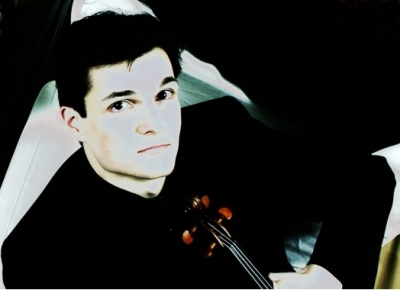 Guest concertmaster of the Camerata Zürich, Basel Chamber Orchestra and the Lucerne Symphony. Selected as a soloist for Yehudi Menuhins’ «Live Music Now» and second prize in the Bryan Young Artists Competition and finalist in the Washington International Competition and the Kulenkampff Competition in Cologne, Germany. 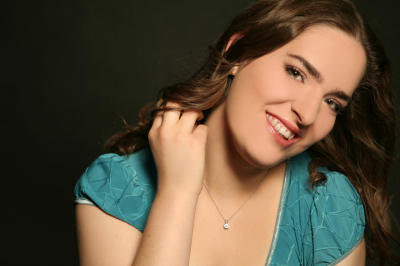 As soloist and chamber musician, she has performed at multiple international festivals and has been awarded a number of prizes in international music competitions. Constant collaboration with prestigious orchestras such as RAI Torino (Italy), la Orquesta della Radiotelevisione della Svizzera Italiana Lugano (Switzerland), Württembergisches Kammerorchester Heibronn (Germany), Haydn Orchester of Bolzano.